Sorry I haven't been able to update this anywhere near as much as I would like. Lots has been happening though. 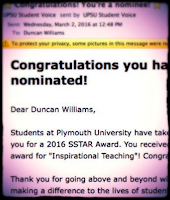 I'm very pleased to say I was nominated by Plymouth University students union for "Inspirational Teaching" in their 2016 SSTAR awards. I didn't win (no surprise there!) 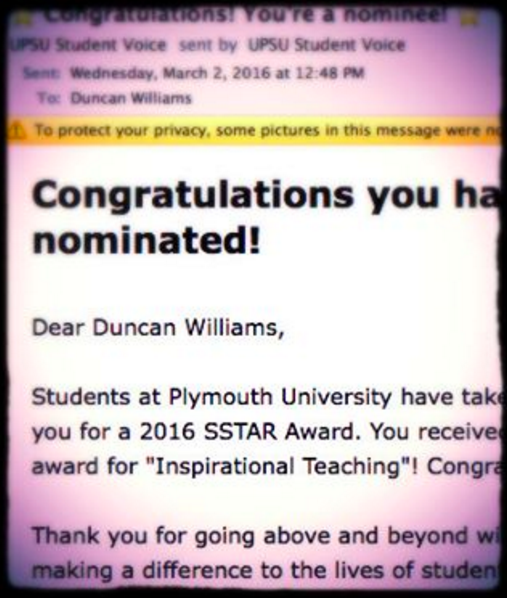 but I was very flattered to be nominated, especially as the votes were unsolicited straight from the students, who I've been teaching on the Psychology of Music module I co-wrote last year for the BA Music programme here. 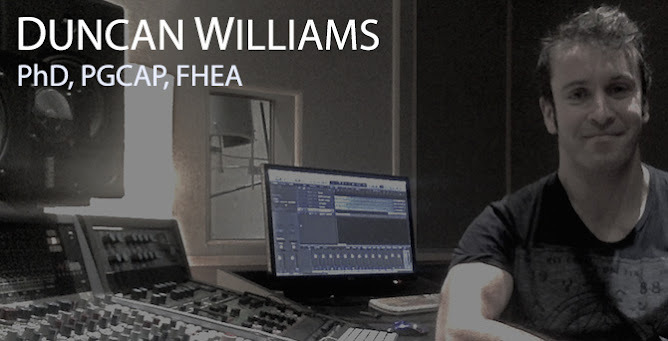 Also on the academic front, I've updated my writing page with some forthcoming conference papers in Leeds, at the 2nd Music for Audio-Visual Media conference, and the International Brain Computer Interface meeting in California at the end of the month. 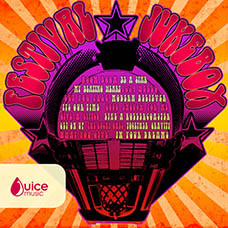 If you are in the media/sound-to-picture business and fancy checking out a new EMI album which I played a little part in, there is a preview available here featuring tracks with my chums from the Piney Gir and Gaz Coombes' bands (Festival Jukebox, JM134). And last (for now) but certainly not least, I'm very pleased to say I'll be working with the Song Collectors Collective in a developmental role, designing a new MOOC (massively open online course) for budding song collectors (ethnographic work, currently focussed on some wonderful Irish and Traveller folk musics), so watch this space for details of the course when it is ready – it should be launched this autumn term and will be hopefully free or very low cost. There are more writing updates to do but I will list them nearer the official publication dates -- probably the next update here at this rate! I'm also hoping to confirm details of a public lecture in June in the Reading area which I will try to announce here as soon as I can.